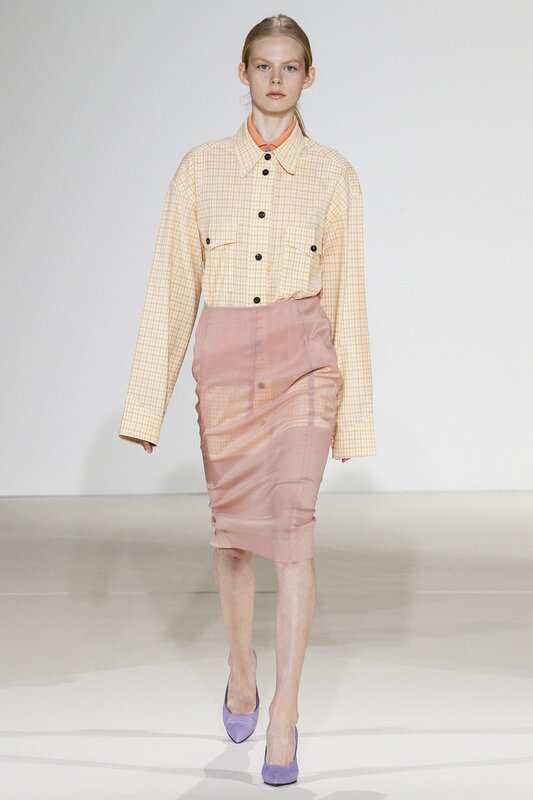 From soft beige to taupe, earth tones were seen in numerous collections. Crafted into looks through a single piece or mixed into the entire look, this trend is the perfect wardrobe refresh. Natural tones allow for an unfussy approach to sophistication, especially when coupled with natural fabrications such as linen. 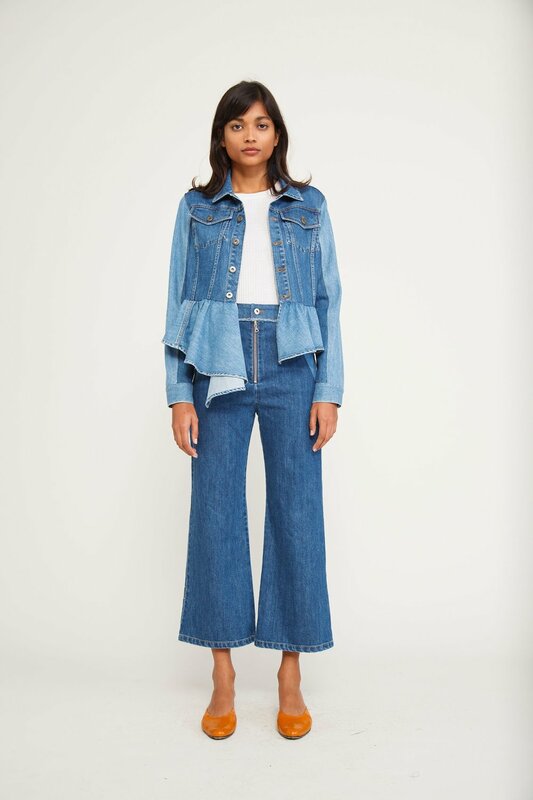 The overall vibe feels light and effortless, but don't be fooled, this trend is grounded at its core. If you know us, then you know we are super into indigo vibes. 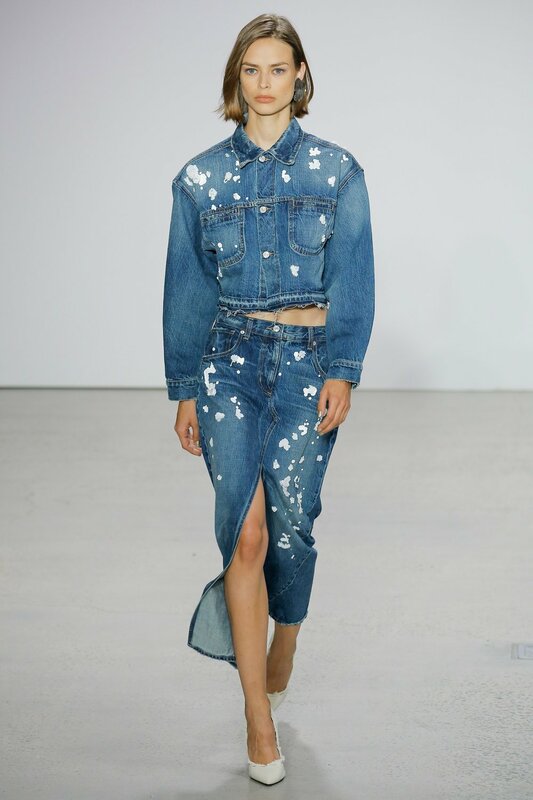 And what's more American than blue denim? 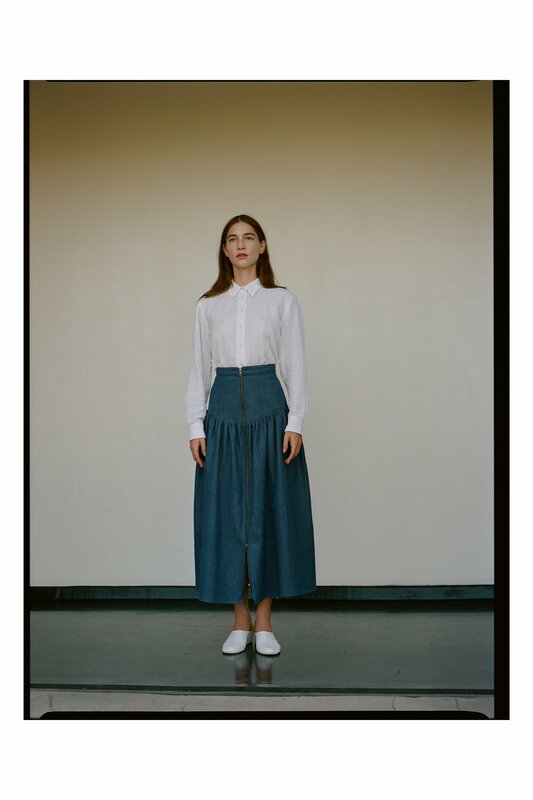 We are loving the way designers are mixing classic Americanism with cultures from around the world. 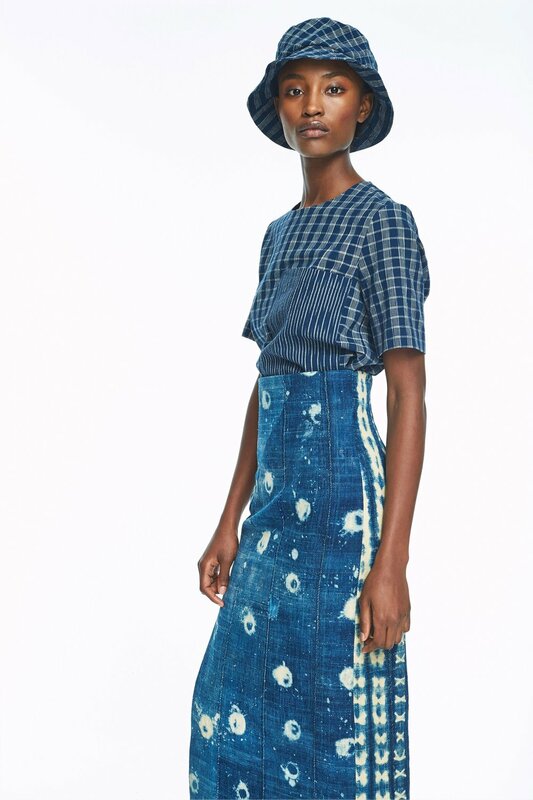 One of our favorite looks has been Adam Lippes' use of vintage shibori-dyed textiles for a fitted midi skirt. Old West meet New World. Who needs hands? 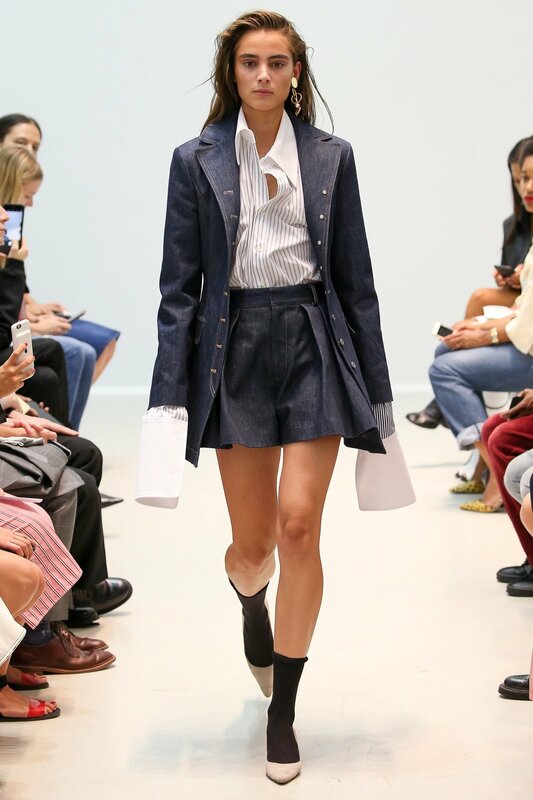 They're over-rated, (as are most body parts) which is why we're extra happy to see the oversized trend all over the runway. Our motto: if you can't beat 'em, then drown your body in ready-to-wear. Let's cover the basics- it's all about yellow, red, and blue. Wear them alone, or pair them together. Designers are taking their color palettes to an elementary place, and we are loving the statement it makes. It's super bold and color confidant- nothing basic about that. What's not to take seriously about the suit situation at NYFW? 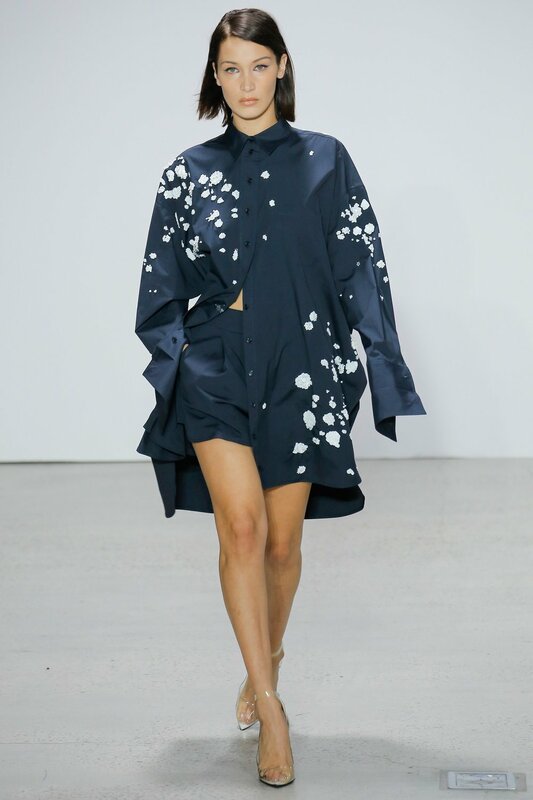 We're seeing this trend be all buttoned-up, but designers are also experimenting here. Rules have left the building, especially when we're talking about shirting too. Who knew there was so much to be said and done with a white shirt? We'd like to give a warm & hearty welcome back to belts. 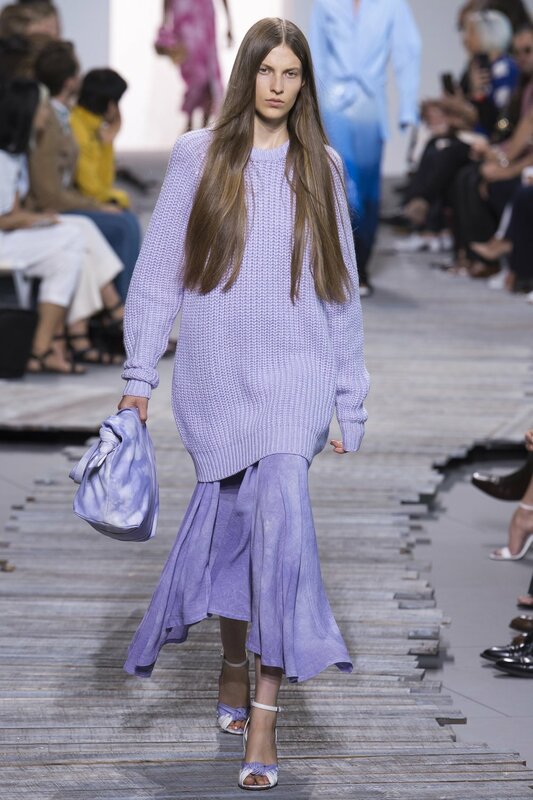 Over the seasons they've played a supporting role, but that has quickly changed on this year's runways. 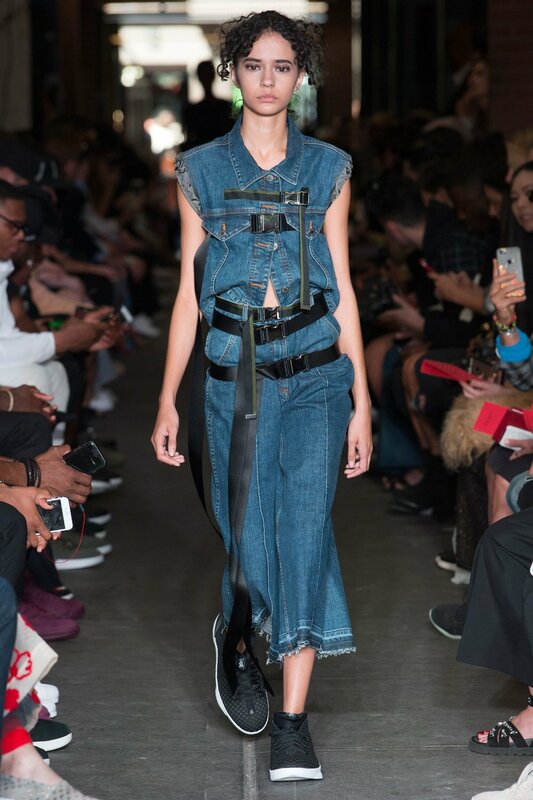 From simply cinched, to fanny packs as belts, we're excited to see this accessory take center stage.